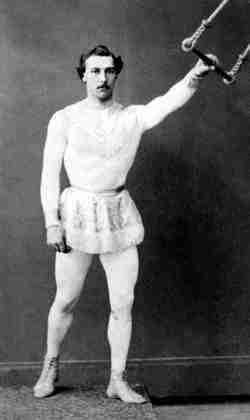 Did You Know, The leotard was invented by Jules Leotard in the 1860s. Mr. Leotard wore this tight fitting and stretchy garment in his act to show off his muscular body. Leotard's early years, he had studied to become a lawyer. Leotard worked out in his father's gymnasium becoming very proficient on the parallel bars. He eventually hung a bar in the gym, suspended by two ropes, this was the birth of the trapeze. 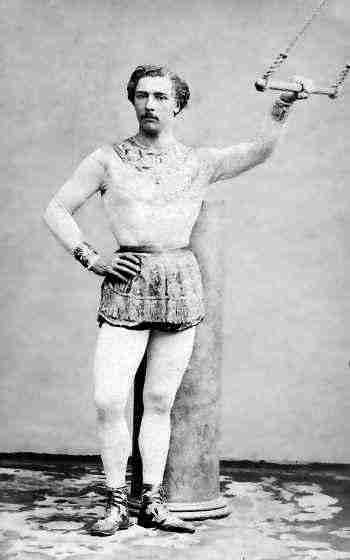 November 12, 1859, at the Cirque Napoléon, Leotard introduced to the world his new act on "The Trapeze". 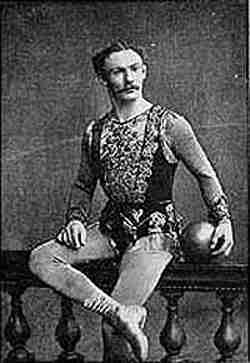 In 1867 the artistry of Leotard was commemorated in a song "The Daring Young Man on the Flying Trapeze” written by lyricist George Leybourne and composer Gaston Lyle. 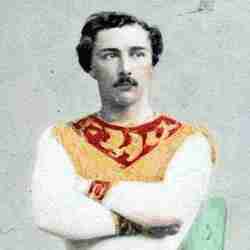 In 1870, while performing in Spain Jean Marie Jules Leotard died of smallpox.